Pistol / SMG There are 6 products. 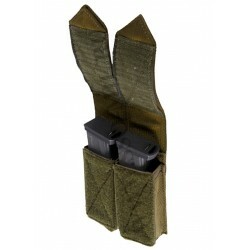 The pouch is designed for one pistol magazine. 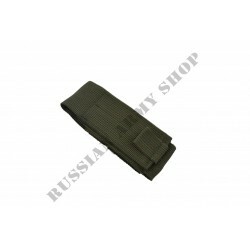 Suitable for most magazines for pistols of various models with double-row placement of cartridges.It can be used as part of the transport-unloading system.The valve is fixed with a textile fastener. Manufacturer: Techincom Goods will be delivered within 30 days of receipt of payment. 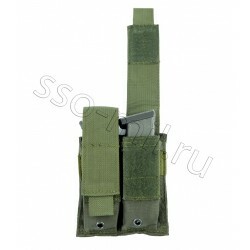 Pouch for one mag like Makarov, Colt 1911, TT-33, Glock and similar. 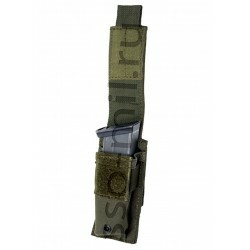 Manufacturer: SPOSN / SSO, Russia Goods will be delivered within 30 days of receipt of payment. 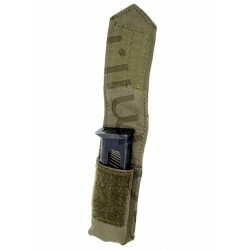 Pouch for two pistol magazines (Vector and analogues).Weight: 100 gExternal dimensions: 140x100x35 mm.Internal dimensions (one socket / valve in the lowest position): 135x45x20 mm.The internal volume may change when the position of the valve with velcro. Manufacturer: SPOSN / SSO, Russia Goods will be delivered within 30 days of receipt of payment.